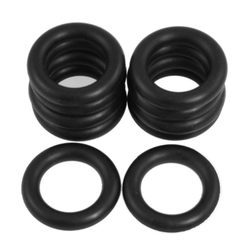 We hold expertise in offering Rubber Gaskets, which is procured from authentic vendors of the market. These rubber gaskets prevents gas leakage and thus are widely used in various engineering and automobile industries. The Nitrile rubber gaskets are made of high quality raw material. These rubber gasket is a mechanical seal that fills the space between two mating surfaces, generally to prevent leakage from or into the joined objects while under compression. VH Polymers Nitrile Gaskets, Thickness: 2mm To 30mm, Size: 1/4" To 100"
We have the privilege to offer our customers an immaculate range of Nitrile Rubber Gaskets. These products are highly preferred by our clients owing to their durability and dimensional accuracy. Available in different sizes, these gaskets can be customized as per the specific requirements of our clients. Rub-O-Tech will custom manufacture your rubber gasket or seal from provided prints or will reverse engineer a sample part for all critical dimensions. Our proven manufacturing techniques will deliver on-time, on-budget parts that are precision engineered to your exact specifications. Guaranteed. Keeping in mind ever-evolving requirements of our respected clients, we are offering a premium quality range of NBR Rubber Gaskets. 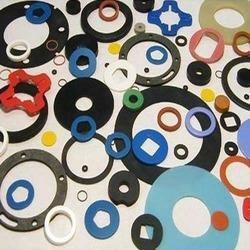 Our company has created a niche in the field of offering Molded Nitrile Rubber Gasket.